This page was last updated September 24, 2003. 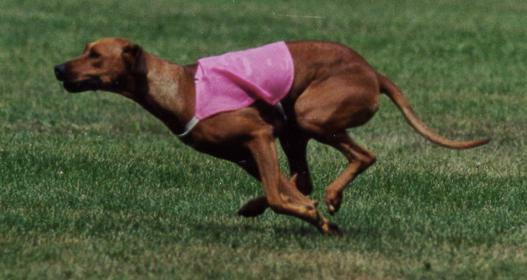 Currently, Kushinda has a litter of pups whelped July 12, 2003 out of FIELD CHAMPION Fancy and DUAL CHAMPION Dun-Dee'. Everyone has had their first shots and their Health Certificates. The available pups, Morgan, Logan & Lincoln are featired below! 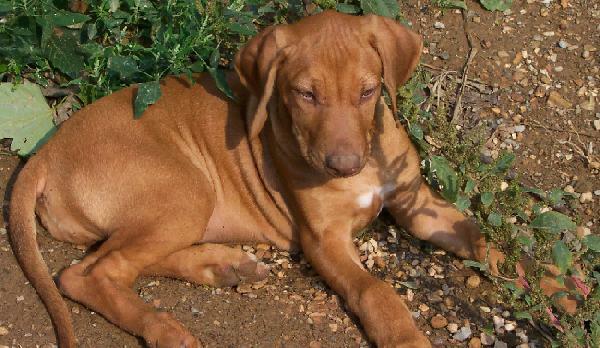 If you'd like to speak with us about our Kushinda puppies, please try reaching me after 7pm EST at 717 267-2030 or emailing us at Kushinda@pobox.com! At this time it's a good idea to read more Kushinda Philosophies to answer many of your questions. 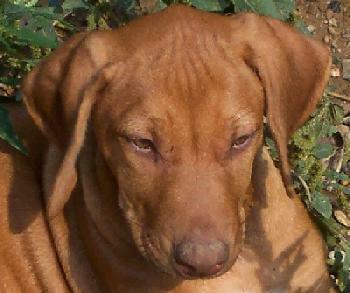 Then, if you are seriously interested in a Kushinda Puppy, please visit Kushinda's Relevant Documents page. Download the Interview Sheet and Sample Contract. Read each document. Complete the Interview Sheet and contact us as soon as possible to be put on our waiting list. 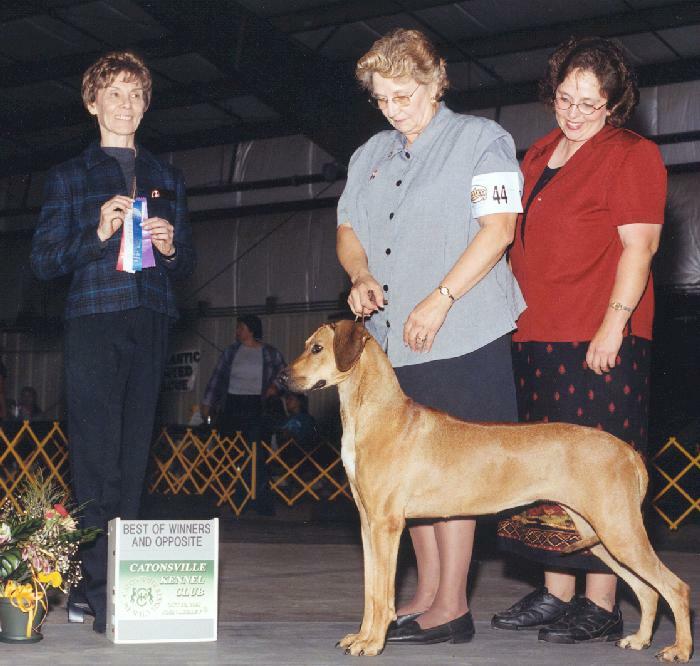 If you might be interested in adopting an older Kushinda dog (retired Champions), please visit Kushinda's Available Older Ridgebacks or Available Younger Ridgebacks. 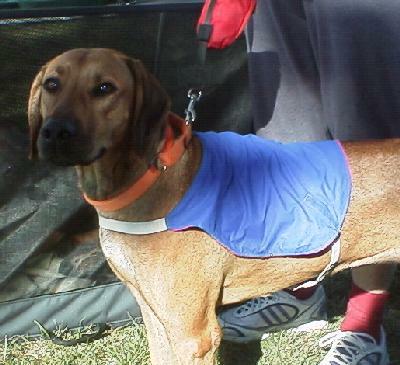 We will be lure coursing this December 15th & 16th in Hagerstown, MD and teh 29th, 30th & 31st in Hanover, PA. Please give us a call if you'd like to meet us (Cell#: 304 216-3617)! 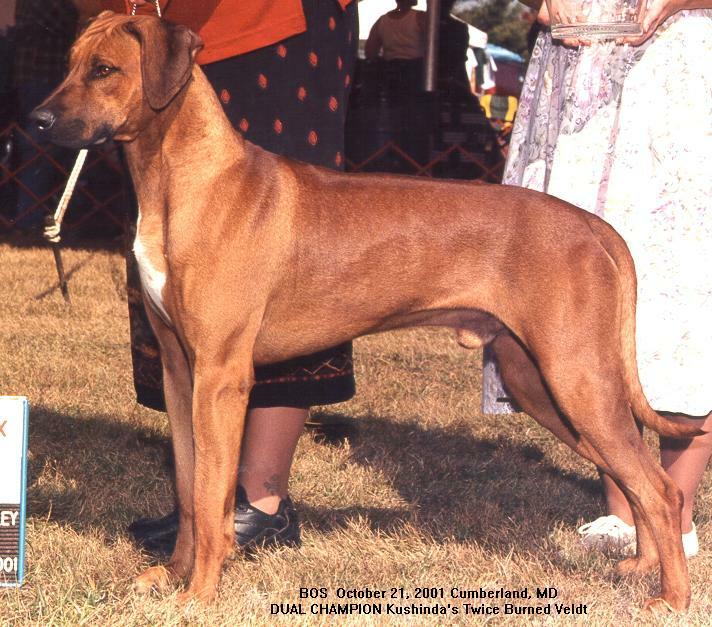 If you would be interested in meeting Kushinda "up close and in person," please contact us to join the Kushinda-List (a Ridgeback discussion list) to monitor our schedule and talk with other Kushinda owners. We would love to meet you! Here's Fancy taking a 4 point major!